SkyTrak Telehandlers provide strength and functionality to their respective job sites. This unit provides incredible functionality for contractors, farmers, and engineers in enhancing productivity and performance. Contractors and equipment purchasers love these units due to their ease of serviceability and the versatility their attachments provide. Often utilized by the U.S. Army, these telescopic forklifts have been nominated for a certificate of recognition by the Army Material Command because of their performance in the roughest types of terrain. When dealing in harsh terrains, the quality of the tire being used can have large implications. Telehandler tires that are puncture proof and have reinforced sidewalls can be detrimental for job site performance and safety. 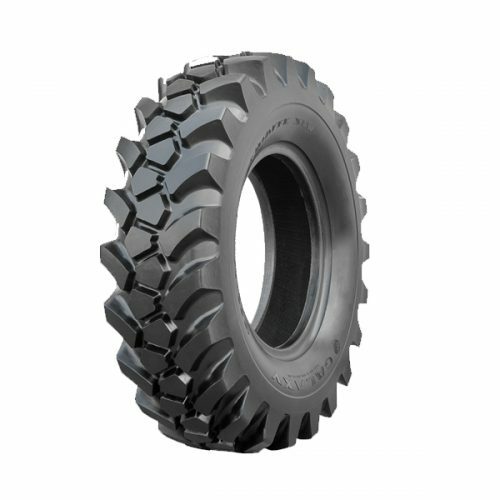 When used in agricultural applications, pneumatic tires with a deep tread pattern and 12 PLY will offer the best traction. For construction operations, where the vehicle will be traversing terrain scattered with rocks and sharp objects, solid tires may be the best choice. Monster Tires has a wide range of solid, pneumatic and semi-solid tires with many PLY options to meet your needs. Browse our selection and call us if any further assistance is required.